The Least Trustworthy Source in the Media? 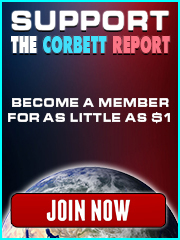 It’s official: The Corbett Report is fake news and the most unreliable source in the media. So says Le Monde and dozens of other “fake news checking” websites that are telling the masses what to think, and what they shouldn’t even look at in the first place. Aren’t you glad you’re not one of the masses? It’s great they put out their lists like they do, I’ve found alt websites I didn’t know about!! Thanks for all you do and taking me on a walk in sunny Japan today! Every dollar you give is a big middle finger to the Media-industrial-complex, give as many as you can, I know I will! I agree and just signed up for a monthly contribution. Screw the MSM, lets support James and those like him so the truth gets told. Oh you tricky fake news distributor James Corbett!! How dare you make up a story about the gold below the towers! How dare you try and show a connection between AIG and Marsh & McLennan! How dare you remind people about the Put Options! How dare you remind people about Convar and the reconstituted hard drives! How dare you mention Idira Singh and PTech! How dare you mention Sibel Edmonds, Barry Jennings, Michael Springmann, and Richard Grove! Your punishment is to never be given any outlet on the MSM. MSNBC, Fox, and CNN will never contact you for an interview!! So that will teach you. As always – thanks for all that you do and keep up the great work. TOUTES mes félicitations les plus sincères, Monsieur Corbett! Vous êtes parmi les plus haïs du Monde et Decodex hilarimentarius! Je vous fais une grosse bise pleine de fierté sur chaque joue de la part d’une vieille groupie inconditionnelle! Yup, I’ll second that and have just had my monthly subscription processed. James, you obviously have quite an imagination as evidenced by the fake news you are able to come up with day after day, year after year. Granted, your stories are indeed preposterous and deserving of endless ridicule; nonetheless, I am truly impressed, perhaps because I struggled mightily to tell my kids the OCCASIONAL improvised bedtime story back in the day. To spin the outlandish, yet oftentimes entertaining stories you do on a DAILY basis is a level of creativity that I can only envy as a former bottom-dwelling storyteller whose retirement from the field could not come soon enough. I am logged in, but cannot see the video of you with Broc West… where can I find it? Thank you for what you do, James. Corbett Report faked news examples. Haha depends on how you read that headline. 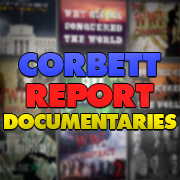 Corbett Report listed as a “False, Misleading….” News Source. I am an assistant professor of communication & media, and this resource started as a tool for teaching my students about journalism/social media/media literacy… …All tagged websites have been analyzed by myself or one of the librarians I’m working with on OpenSources… …Finally, please remember that all tags may be subject to revision based on feedback, discussion, continued analysis, or…. Melissa lists some of the news sources that she uses. (e.g. NY Times, Washington Post, NPR, etc.) At this time she has over 900 news sources listed as dubious in her document. The news about Harvard came from Global Research. « Bitcoin Over Gold: What Does It Mean?